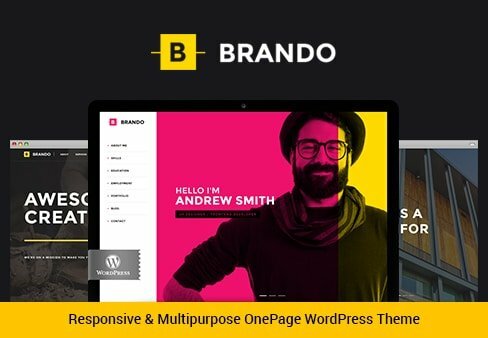 Brando is a very well polished, modern, sleek and easy to use, highly flexible and readily responsive multi-purpose single page WordPress website theme with multi pages feature as well with visually stimulating and attractive portfolio and blog styles. Brando offers an incredible collection of conceptual page templates and demo websites with dedicated layouts, attractive and polished graphics for different business industries, niches, entrepreneur or personal like digital media agency, tours & travel agency, event management, spa and beauty saloon, art and photography, architecture firm, restaurant and hotel, tattoo maker as well as freelancer, marriage couple and many more. 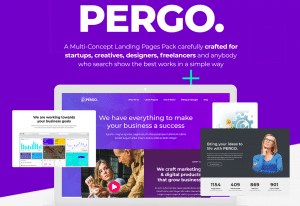 There are tons of pre-built and great looking elements, custom shortcodes with major customization possibilities, very easy to use drag and drop visual composer content editor tool, various theme and page / post level advanced settings, numerous visually appealing hover, animation and transition effects, one click demo data import of your desired demo style, handsome portfolio showcase with grid and masonry style, readily available blog designs, built with HTML5, CSS3 and Bootstrap framework and highly acceptable coding standard of WordPress for high speed page loading and better visibility to search engines are the all-in-one great features package to quick start your business website and represent to your audience.